Copperloy has been an industry leading manufacturer of loading dock equipment for more than 60 years. You can depend on the quality of our made in the USA products, as well as our hard-earned reputation. Learn more about how we can help your business with material handling equipment and custom steel fabrication. Copperloy’s gear is available across the entire country. That includes locations throughout the state of New Mexico. When you need dependable equipment that’s made to last in the harsh sun and heat of Santa Fe, Las Cruces, or Albuquerque, Copperloy is here to help. With items available in stock and our national distribution, we can offer our New Mexico customers quick, affordable shipping. 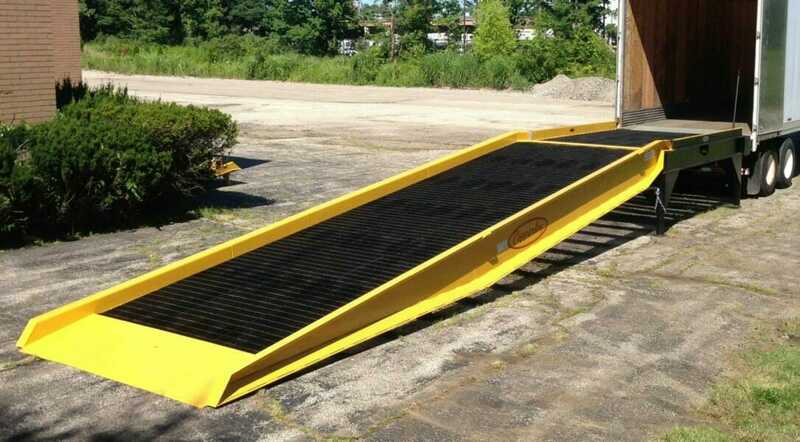 Our lineup of equipment includes a wide range of different loading dock ramps, portable yard ramps, truck and forklift ramps, and dock-to-ground ramps. All of our ramps are available in multiple sizes and capacities. With custom steel manufacturing, we can also produce unique products that have been designed to solve any difficult challenge, specification, or need you’ve encountered. Copperloy’s material handling equipment is built to last and will help your business increase productivity, efficiency, flexibility, and safety. With an unmatched range of benefits you can’t pass up on, call Copperloy at 800-321-4968 to learn more.